To preface this latest instalment, she’s 3 now and I’m calling the 1 year old a toddler so maybe we don’t call 3 year olds toddlers anymore? Preschooler? 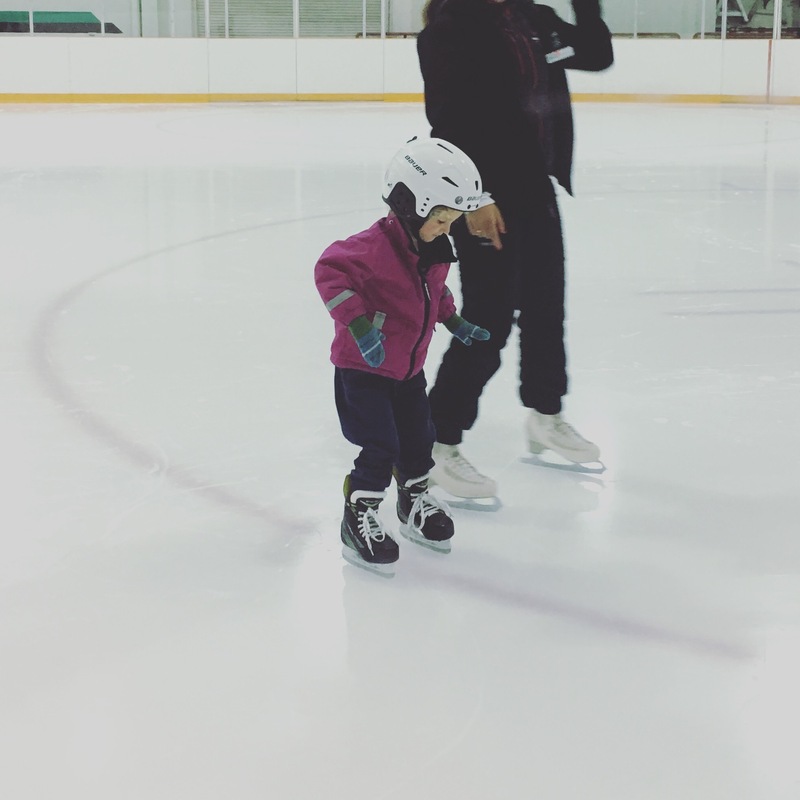 She definitely doesn’t toddle so much as she strides (and skates, thanks to summer skating lessons)..
Did someone mention skating? Any excuse. 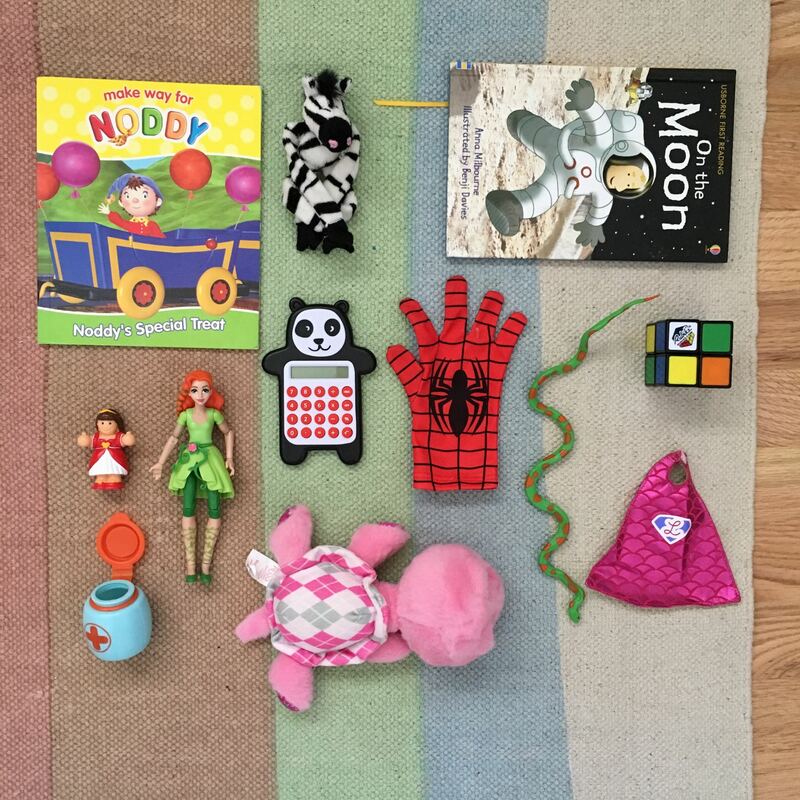 Clockwise, from left: Noddy book (gives both my daughters bad dreams, as it turns out); magnetic zebra; excellent space reader; 2×2 Rubik’s cube (highly recommend for the over 5s); snake toy; one Spider-Man glove; panda calculator (seen on previous weeks); various girl superhero figurines, and a medicine packet from the toy doctor’s bag. Make of this cross section of interests what you like. Most likely a future astronaut-mathematician-doctor.